Graduate The University of Missouri -Kansas City School of Dentistry in 1979. 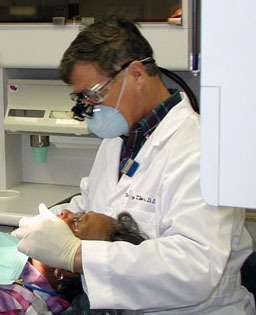 Over the last twenty years Tim has actively participated in dental technology classes to keep a fresh perspective with his patient’s care. 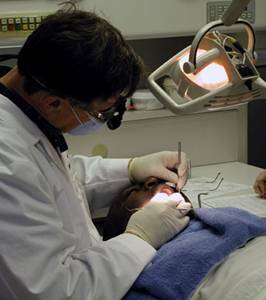 Tim is an Alumni member of UMKC’s School of Dentistry. Tim is married to Marion, a third grade teacher, and they have a blended family including three children. Valerie, is 24 and lives in the metropolitan area. She works in food service and has two lovable cats that she cares for. Hayley, 21, is a sophomore at Longview Community College and aspires to a nursing career. She also works in food service for Chilli's when she has free time. Zach is 20 and he is a junior at Kansas University where he is in the school of engineering with a major in electrical engineering. When he has free time he likes to game on the computer with his friends and support the Jayhawks.